Spiked hair, energy waves & bad attitudes, return to the series that defines all three with Dragon Ball FighterZ. Dragon Ball FighterZ is the next installment in the Bandai Namco line of Dragon Ball games. Developed by Arc System Works and published by Bandai Namco, the game was previewed at the Microsoft E3 press conference, and was available for demo afterward as well. The timeline for the game is not known but we can assume that covers the entirety of the Z series given the name. Watching the trailer we can see there a is pre-fight interaction between the characters. Whether this is a cutscene from the story mode or pre-game dialogue, as seen in games like Injustice: Gods Among Us or Mortal Kombat X, is unknown. It is unknown if the game even has a story mode, but many in the Dragon Ball series have come with a simulated story with the Dragon Ball Z timeline fully fleshed out. Dragon Ball Xenoverse gave us a new take on the standard story with what-if scenarios that required us to travel through time and set things back to the way they were before. We briefly got a glimpse of the current lineup of confirmed fighters. Viewing the trailer we are able to see that Majin Buu, Frieza, Gohan, Goku, Perfect cell and Vegeta are all confirmed to be in the game. Getting our hands on the demo we can see that these characters come with their additional forms such as Super Saiyan and Golden Frieza. Dragon Ball Xenoverse 2 features character from Dragon Ball Super (the newest series) in its lineup, so we can assume some but not all will be available as our chosen fighter. From the character select menu, you can also change their ensemble before the match, whether it be just the colors or their outfits entirely. 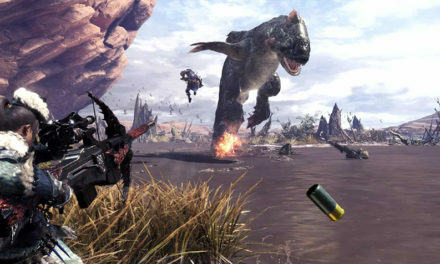 The game’s combat looks as though it’s taken inspiration from other popular fighting games. One such game being the Marvel V. Capcom series. The controller layout is similar as there are 3 dedicated attack buttons and one action button. Team matches are also a feature of the game. You can select up to three fighters to switch between in your match. Your partners can also help you mid-match to deliver a blow to your opponent using an assist move, which if timed right can get you out of serious trouble if your health is low. The game is also reminiscent of Guilty Gear. As the game uses a 2D perspective with 3D models of the fighters. The game also has a anime art style to it much like Guilty Gear which isn’t a surprise as they both share the same developer, Arc Systems. 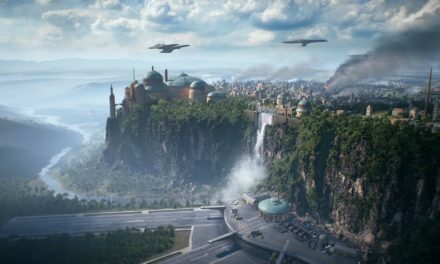 When we played the demo at E3 2017 we noticed something, how easy it is to play the game. The controls are simple which gives players who don’t normally play fighting games an edge. Combos are easy to string together and finishers, when timed right, can deliver devastating blows. 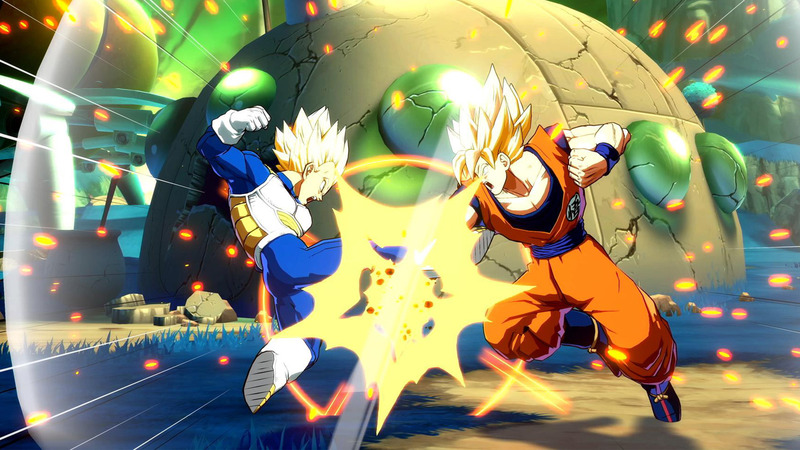 It’s not hard to see how a game like Dragon Ball FighterZ can be competitive when more people are able to access the game, more people are able to master it, thus creating droves of players who wish to test their skill. The game feels true to the series in its fast paced, hard hitting battles that mirror the clashed between similar foes that we’ve watched for years now. Many fans have seen the announcement trailer and there was always one fan who asked the question, why was the trailer using a Japanese only dub? The whole trailer features a Japanese voice track for all the characters. Worrying fans in the west that the whole game will feature an all Japanese dub for the characters. Fret not because Bandai has confirmed the game will come with a English voice option as well. Dragon Ball Xenoverse waited months to give us an English dub trailer so the same can be assumed for this game as well. No information on who the voice cast for the English dub will be, but we can all hope that long-time Goku voice actor Sean Schemel ( who also voices strong and the males ghouls from Fallout 4), and long-time Vegeta voice actor Chris Sabat will return to reprise their roles as the two Saiyan warriors. You’ll be surprised to know that at E3 2017, the game wasn’t even in its ultimate form. 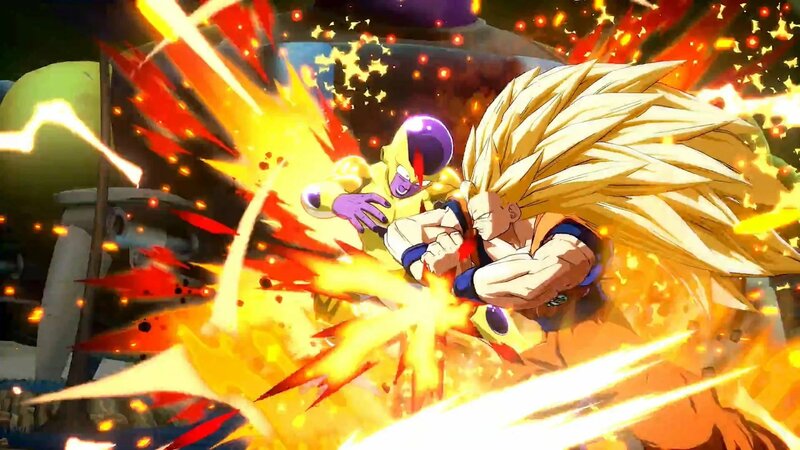 In an interview with Tomoko Hiroki, he revealed to Korean website Ruliweb that Dragon Ball FighterZ is only 20% finished. 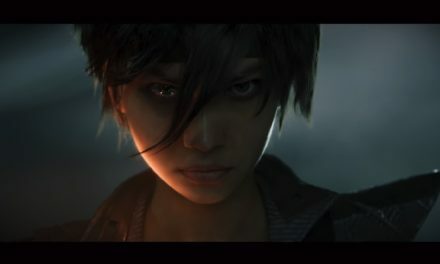 With how the E3 demo felt and played the game has plenty of potential and we’re excited to see what they fill the other 80% with once the game is released. 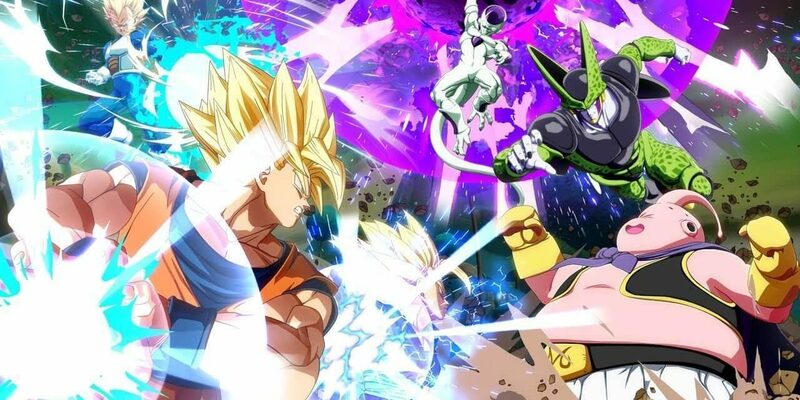 Dragon Ball FighterZ is already one of the most talked about games on social media right now, along with a slew of other fighting games such as Marvel V. Capcom Infinite, and the Dragon Ball fan-base is buzzing about the game. Dragon Ball is indeed a great platform for which a fighting game can build on. The fight angry style characters, the fast paced environment, and the explosive move-sets are all something that makes this game have so much potential. Undoubtedly, day one we can expect call offs from work and some sore thumbs as knuckles clash and hair grows in the Dragon Ball universe. Watch as players from around the world come together to prove who is the greatest warrior in the universe in Dragon Ball FighterZ coming in 2018 for the PlayStation 4, Xbox One and PC.